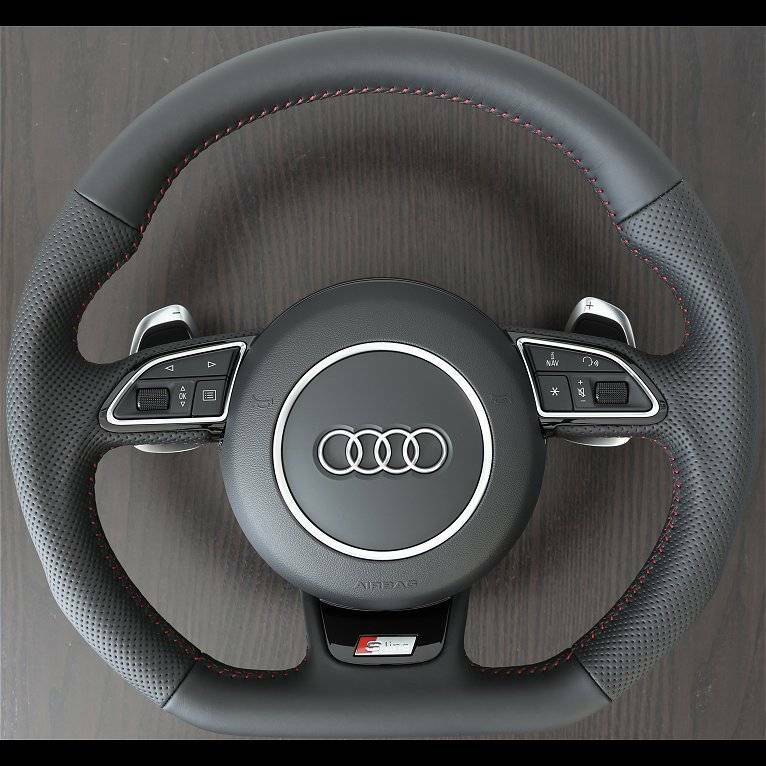 A thicker and more contoured flat-bottom steering wheel wrapped in partial air leather with red stitching. Available with black shift paddles or extended shift paddles. The steering wheel badge can be replaced with any available to match your specific application, inquire for details. 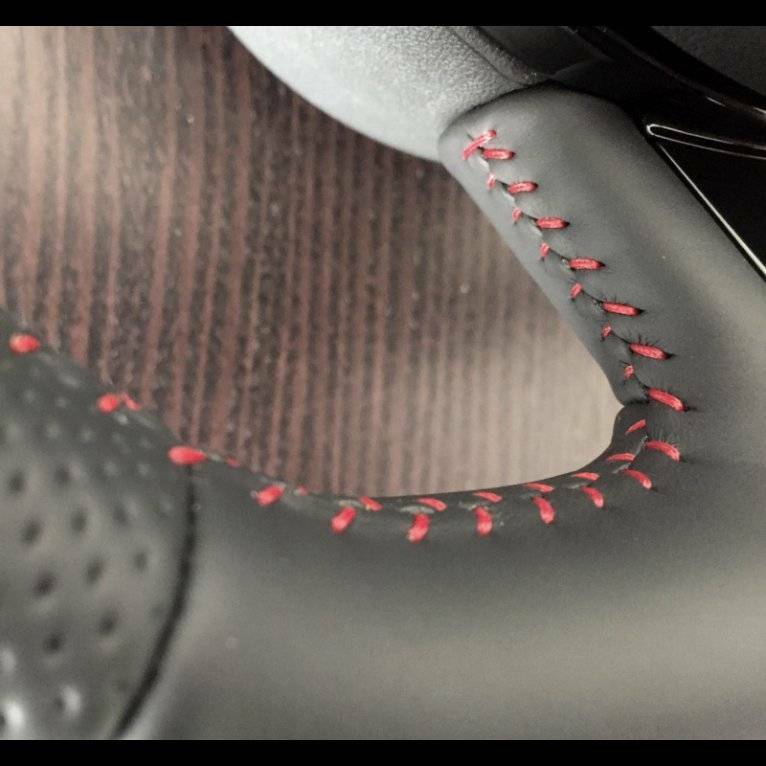 *Note that the round airbag used in the D4 models does not fit with the flat-bottom steering wheels as it is a different shape, design and attaches in a different manner. All D4 models require a package complete with airbag and plug and play harness which is included.